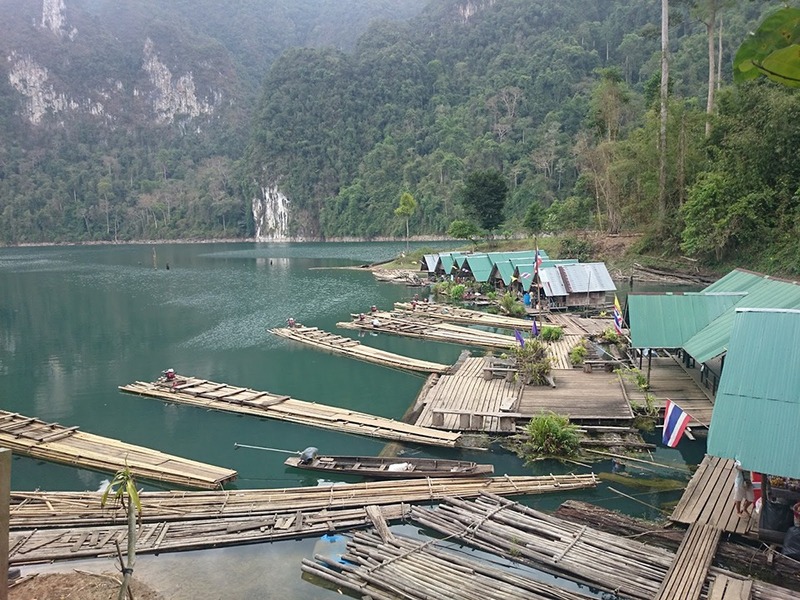 Our Khao Sok Lake Day trip is a great way to discover Khao Sok in 1 day. 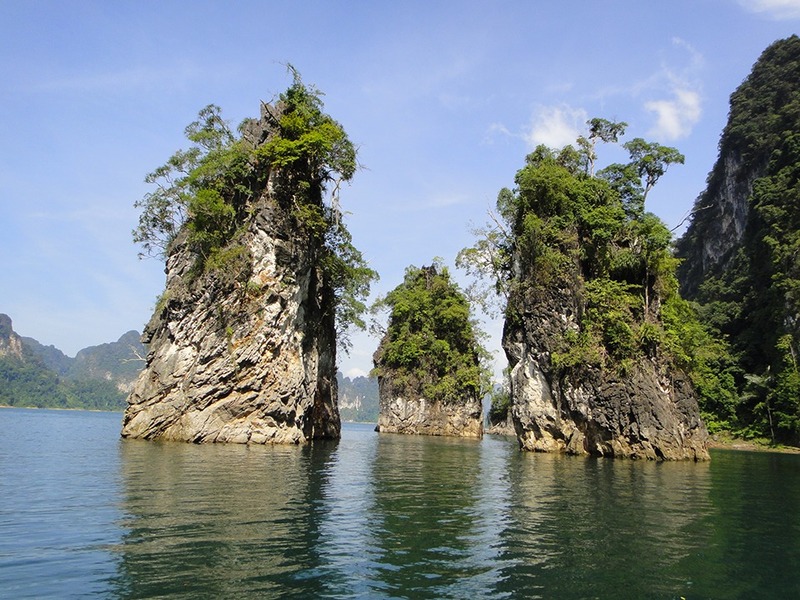 Experience the magic of Cheow Lan Lake in the Khao Sok National Park. 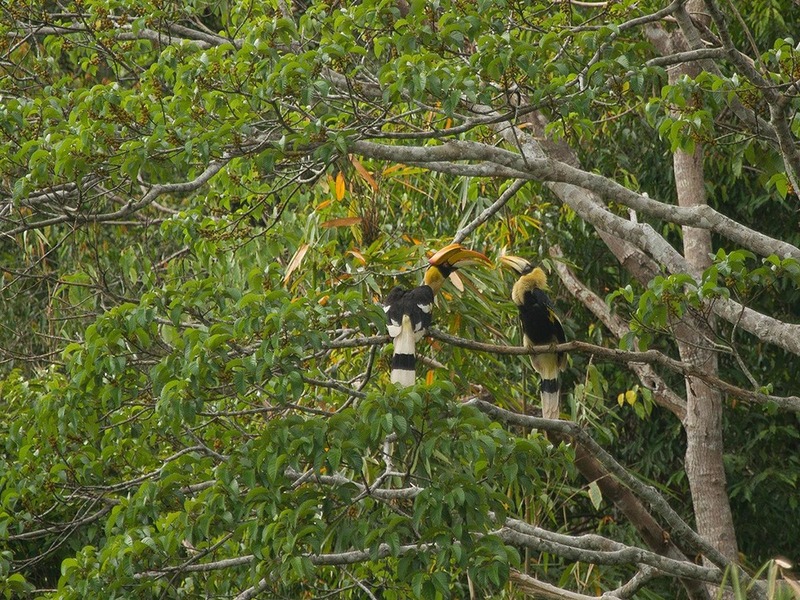 Gibbons and hornbills are commonly seen in the old-growth jungle trees at the water’s edge. 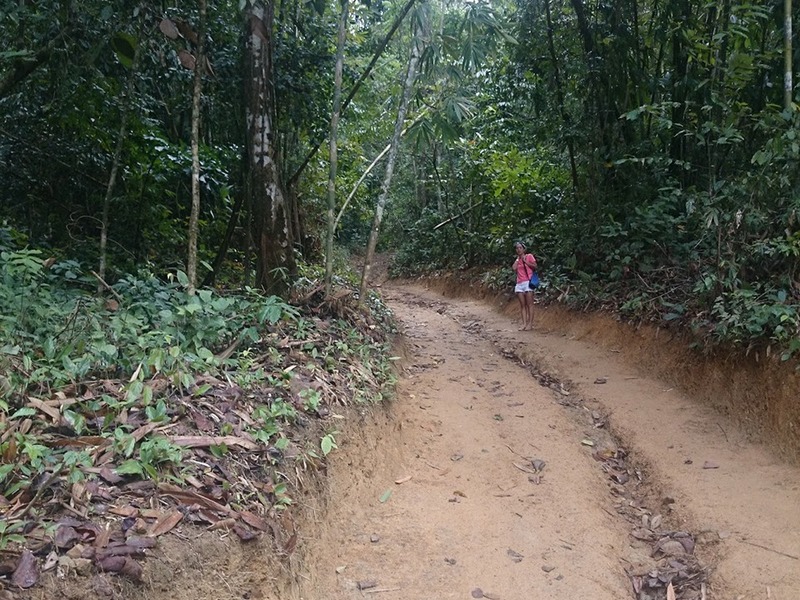 Trekking to the hidden cave through the tropical rainforest. Swim and relax in the fresh water lake. Exciting with bamboo rafting and kayaking. 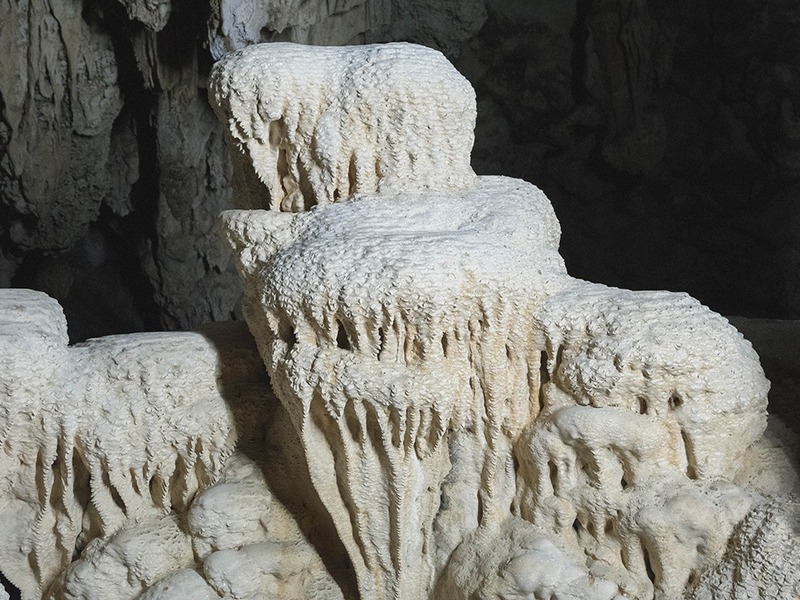 Sightseeing stalactites and stalagmites in the cave. 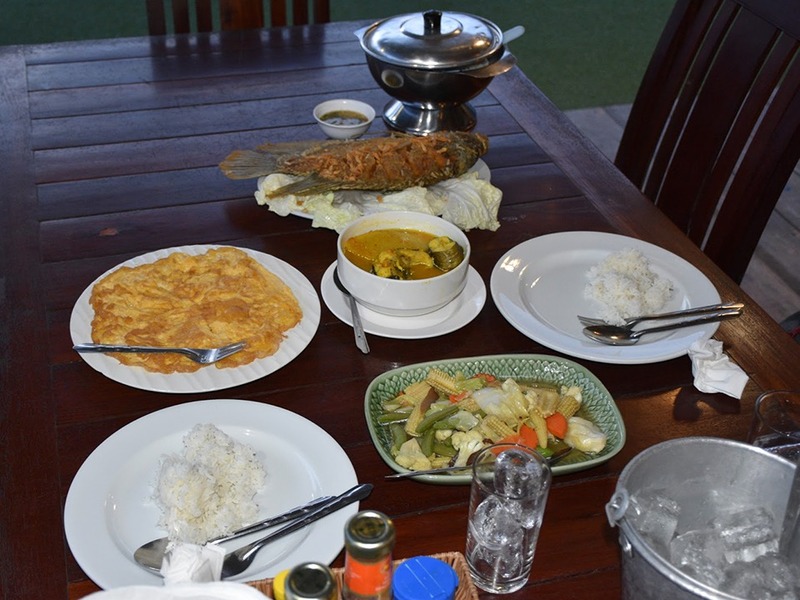 Thai style lunch in the raft house restaurant. Cheow Larn Lake at Khao Sok National park, known as Guillin of thailand is one of the most beautiful places on earth, with over 100 islands with towering limestone cliffs that give the lake its fairy-tale scenery. There are also many varieties of wildlife such as elephants, wild oxen, deer, wild boars, hornbills, monkeys, gibbon, etc. The emerald-like fresh water lake is surrounded by lush forest which is said to be one of the most fertile forests in Southern Thailand. The forest is also the origin of the Tapee River which runs to the Gulf of Thailand. Anyone who visits will immediately relax and enjoy the beauty of this natural setting, and will never want to say goodbye. The place itself is said to be one of the ten most beautiful places in the world. Spend your day taking in the amazing scenery, jungle hiking, exploring a cave, swimming, and relaxing at the floating bungalows. We pick you up at the hotel in the morning to leave Krabi with our guide good english speaking who will take care of and provide you information. 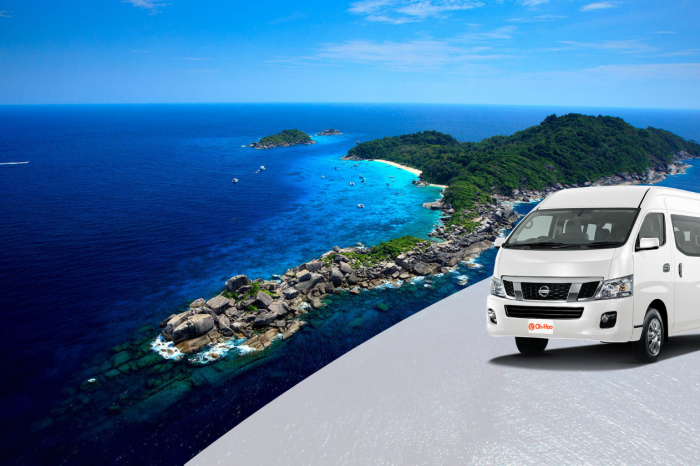 When the van crosses to Surat Thani Province, you can feel lifestyle of the local people, communities and their livings as well as the scenery of mountains, palm trees and rubber plantations which are economic plants around the area. Take a short break for a cup of coffee while enjoying beautiful scenery at Khao Sok. Start the day with a drive from Khao Sok to a colorful local market. 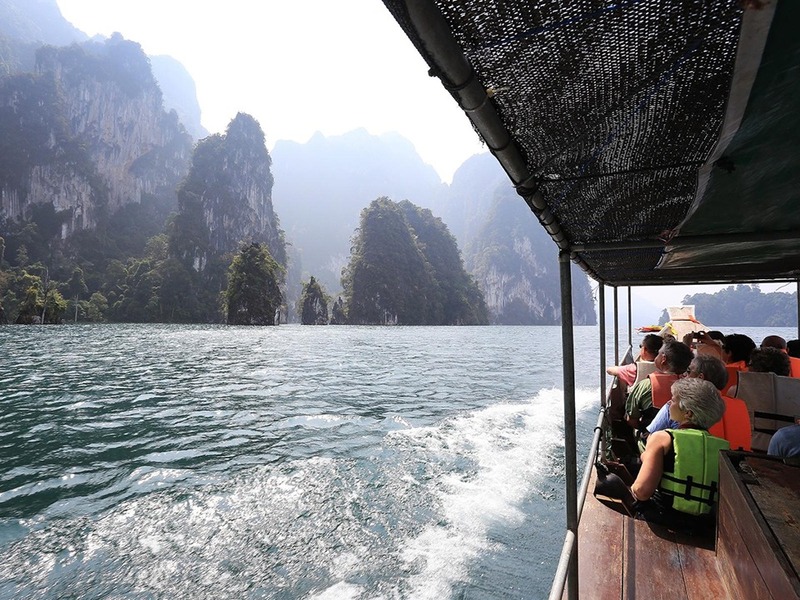 Then cruise the lake in a traditional longtail boat where we can see emerald fresh water and plenty of sandstone and mudstone and limestone mountain. Swim in emerald green water. Choose between kayaking, hiking with a guide, or hanging at the raft houses to relax and swim. Hiking to the hidden cave (coral cave) through the tropical rainforest. 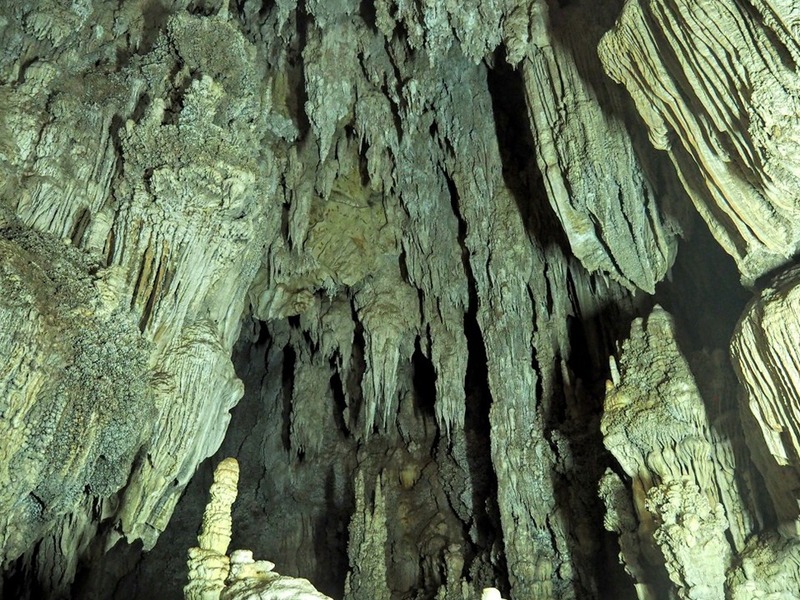 You will be exciting with bamboo raft and seeing stalactites and stalagmites in the cave. Lunch time on the raft house restaurant among the natural and full the relaxing swimming kayaking. Head back by boat to the pier from where the car driver will bring you back to your hotel in Krabi . You will be exciting with bamboo raft along the lake. 07:00am – 07:30am Hotel pick up you from hotel. 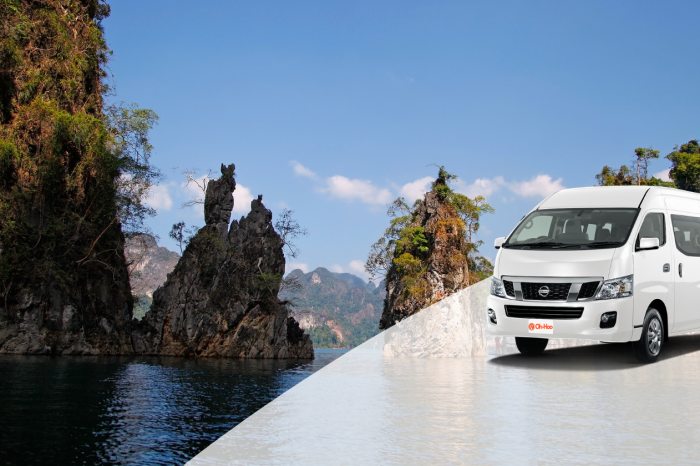 07:45am – 09:45am Drive by minivan to Khao Sok National Park. 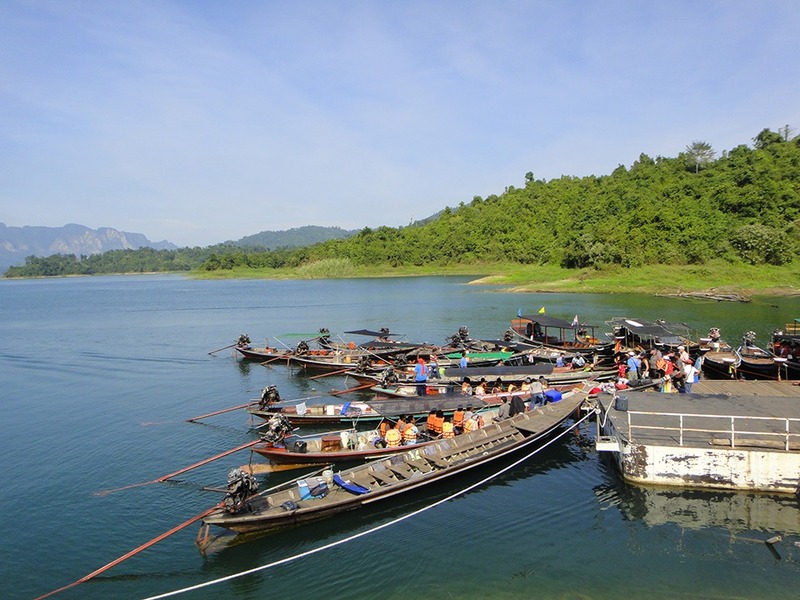 Take a local longtail boat to the lake. Hiking to the hidden cave through the tropical rainforest. Lunch time on the raft house restaurant. Relaxing , swimming or kayaking.